COLUMN DESIGN: Authentic Replication Wood column shafts. Scamozzi capitals and Ionic (Attic) base moldings / plinths. 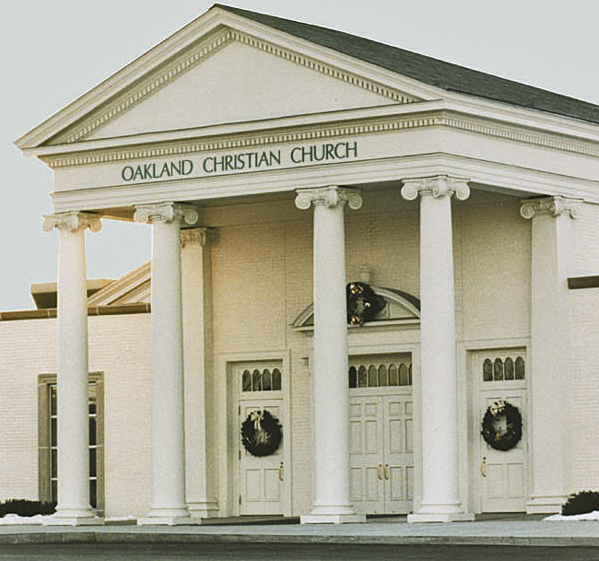 PROJECT COMMENTS: The Oakland Christian Church in Sterling Heights, Michigan features (4) of Chadsworth’s Authentic Replication wood colossal columns with Scamozzi capitals and Ionic (Attic) base moldings / plinths. These columns were split for reassembly to go around existing, load-bearing posts.